We found a cool new walking/hiking trail in our city and have been frequenting it a lot over the past few months. We have walked all of the paths and they are very familiar. Every once in a while, you need something to add a little bit of excitement to the familiar. 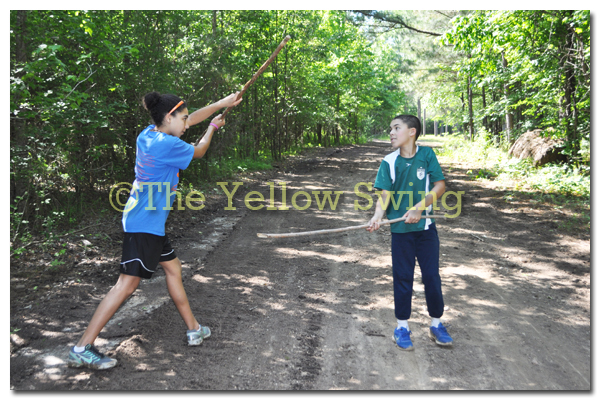 The children opted for a duel in the woods. There is no loser. We are all winners with an afternoon full of fun.